This is the second post in my "Creating An Audiobook" series. If you haven't read Part 1 and Part 2, start there. In the previous post, we got most of GarageBand set up. There are still a couple of steps, then we are going to create some tracks and record your first chapter! 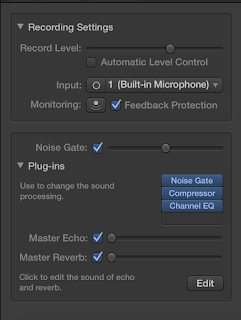 At this point, there should be an Audio 1 track and a Master Track in your GarageBand project. Double-click "Audio 1" and change it to "Chapter 1." Woop! Okay, our chapter is ready to roll! In Part 4, we're going to walk through uploading your audio files to ACX. Let's make a couple of quick settings changes as per their requirements. Click the Master Track, and click the Limiter button. 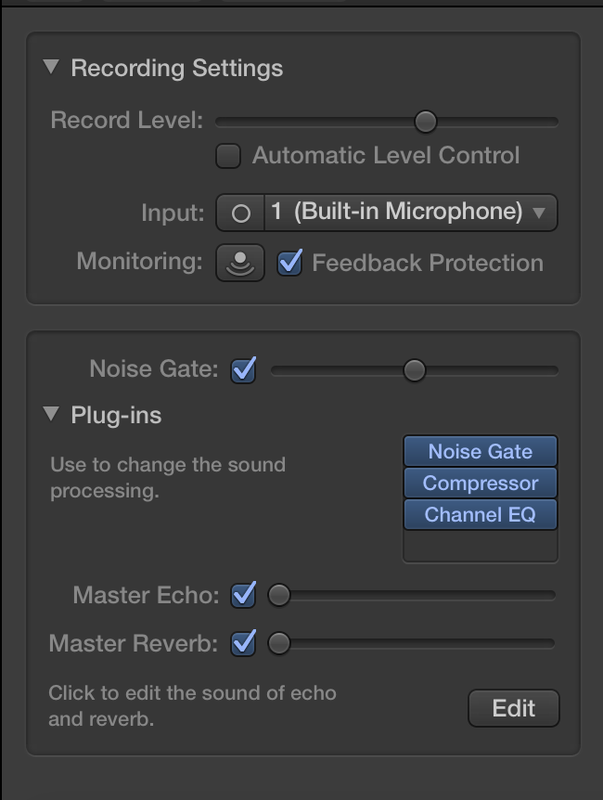 This will bring up the limiter settings. 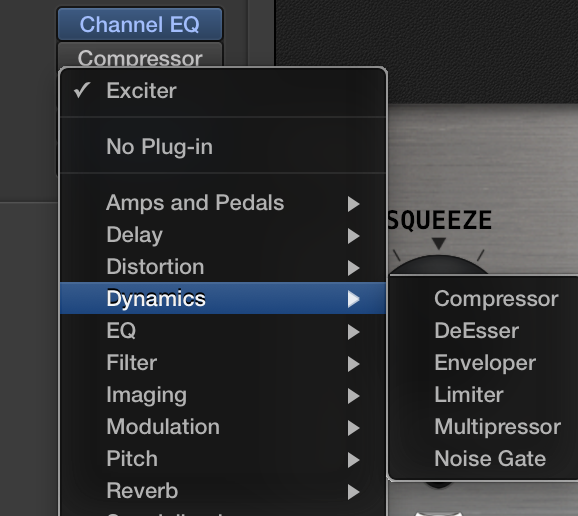 Change the Gain to +2.0dB and the Output Level to -3.0dB. This will limit the peaks of your recording. Close the Limiter menu. Next, click the right-side of the Exciter button so the type menu pops up. Alright, let's do this thang! * When yelling either pull back or look off to the side. * If you need to, practice reading through the chapter before recording. Be sure you can pronounce all the words (names can be especially tricky). * Try to make as few mistakes as possible. * Try and limit your breath and lip-smacking sounds. These will need to be edited out. If you make a mistake, it's not a big deal. Don't stop. 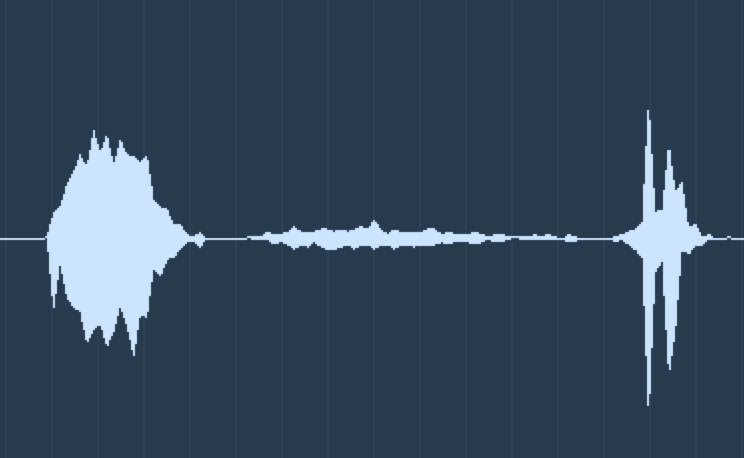 Pause for a couple of seconds so that the mistake is obvious in the recording track, then try again. Mistakes will happen. That's what editing is for! Okay, you're ready to roll. Click Chapter 1, hit the record button! Woop! You've got your first track down and now we're going to make it purty! Un-click the equalizer button and choose the editing button (the little scissors). When you first see the track, it'll look like this. Kinda squished and difficult to see what's what. Fortunately, you can spread the track out. On the right-hand side, this little slider bar will let you expand and contract your view. Make it nice and wide, so you can see the nuances of your recording. This is the beginning of my recording where I was opening the beginning of Norman and the Demon. Highlight this section and delete it. Drag the track, so that the audio starts at the beginning of the timeline. Now, listen to the track and find, and remove, inhalations, smacking, so forth. Here's an example of me taking a breath. With this tool, add or remove blank space between words, adjust volume levels, remove mistakes, so on. That's it for this section. If you're ready, move on to the final tutorial. Have fun and adventure on!